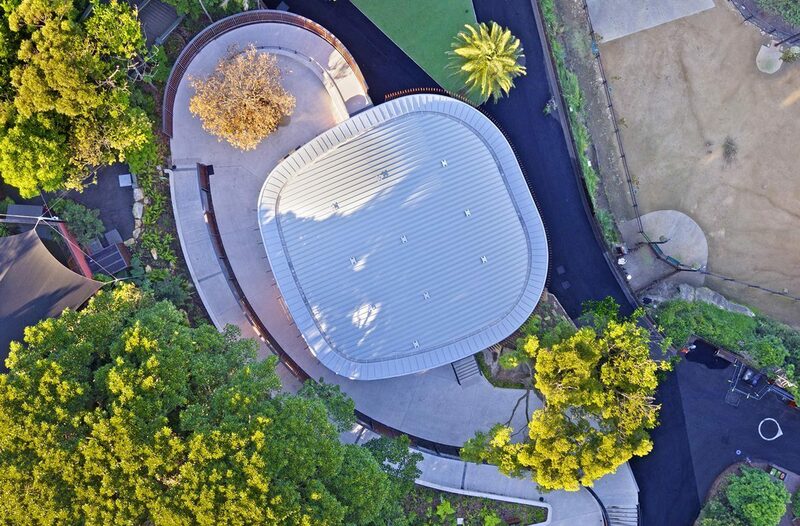 Taronga Zoo engaged Kane Constructions to deliver their new Centenary Theatre, under a GC21 Contract. Commencing works at the start of 2016, the building houses a 270 degree lecture theatre, allowing visitors to view animals in the natural world in exciting new ways, emphasising the Zoo’s ongoing focus on the conservation of wildlife and environmental sustainability. 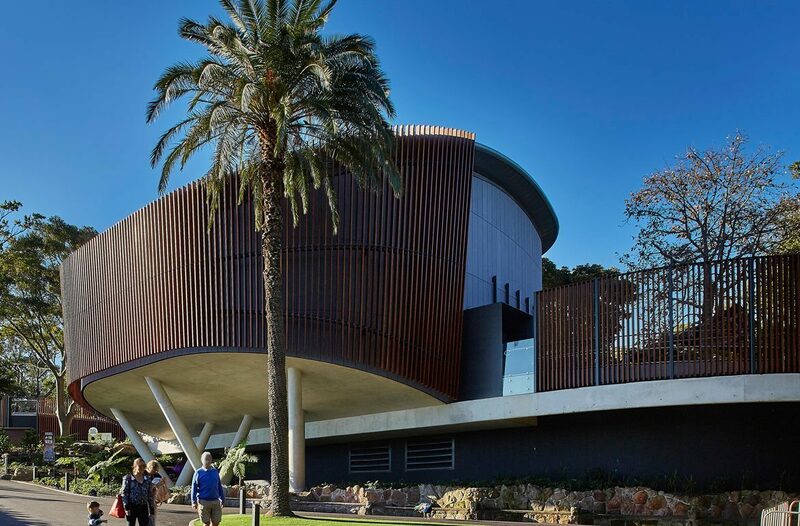 The external timber batten façade wraps around the stunning new centrepiece, and contrasts against the off-form concrete and structural steel. 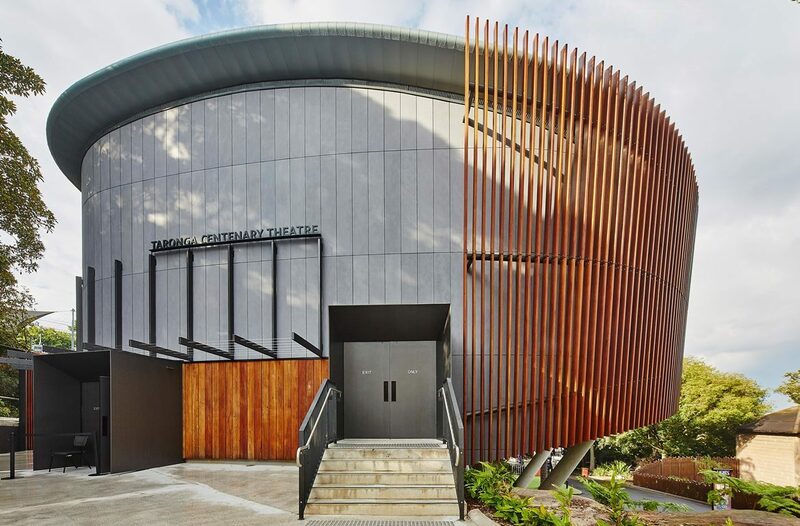 Internally, the theatre has sections of permanent and open space/floor for varying presentation types and allowing for greater visitor engagement. The construction of the theatre involved the protection of heritage stone seats and stairs. As usual at Taronga, Zoo operations remained operational during the construction period.